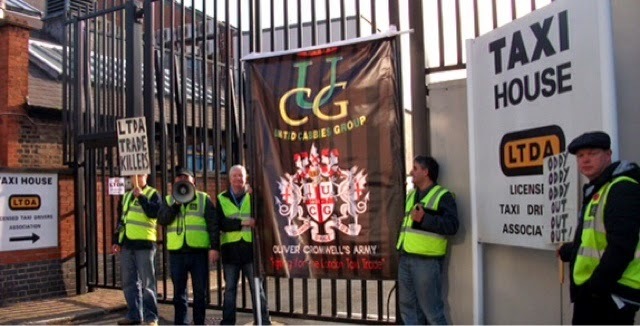 Press Release From The RMT LTDB : Trade Meeting At Woodfield Road. RMT LTDB officers attended a trade meeting hosted by the Licensed Taxi Drivers Association (LTDA) at Taxi House today (19/01/2015) to discuss the current ULEZ (Ultra Low Emissions Zone) consultation and the impact on the trade. Considered by some as the single most biggest threat to the trade, there are however, some positive points. Despite initial outrage, impact will not be on the licensed taxi trade. Instead it’s the private hire industry. This is due to ULEZ proposing Zero Emissions Capable (ZAC) vehicles be available by 2018, and for drivers to invest. Currently, Mercedes Benz are the biggest supplier to the London PHV market (supplying some 6000 vehicles to major fleets) and do not have a vehicle in their portfolio that meets the standards, and a future model is to have an estimated price tag in the region of £100,000. Even the ubiquitous Toyota Prius looks set to betray the PHV industry, as it’s newer model is said to be around 30% dearer! Concerns made by the LPHCA (Licensed Private Hire Car Association) are that this is an unviable cost to drivers and would restrict prospective individuals entering the profession. 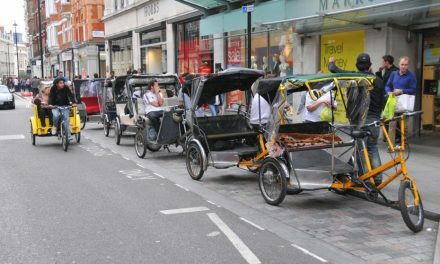 As of yet there is no concrete offer of a vehicle to be made available to the licensed taxi trade, with Nissan being the latest company to pull out. But there is feeling that if and when a vehicle enters the market, the trade will have the advantage over the PHV industry, as relative costs will be lower. The RMT have never been against the principle of cleaner air for London. In 2012 the union sought to lobby parliament to secure a scrappage scheme for owner drivers to be compensated, but following a petition, received almost zero support from the trade. It is our view that the ULEZ consultation is not the biggest threat to our trade and that vehicle costs are ancillary when considering income. Over the last decade we have seen our market share dwindle and incomes fall whilst simultaneously seeing our outgoings rise. This can be attributed to the erosion of our working practices, from the satellite offices to E-hailing of PHVs. The RMT LTDB believe fundamentally that our incomes should be able to comfortably absorb price burdens like a new vehicle no matter if a fifteen, ten or even five year age limit is stipulated. We should be united in securing our right to ply for hire and to future proof our trade. For no matter what they try and throw at us. THE LTDA FINALLY OPEN THE GATES TO THE TRADE. TfL’s main fears are now being realised, as the Taxi Trade finally made an effort towards a United Trade. The LTDA hosted trade talks at Taxi House. Unfortunately the LCDC’s Grant Davis ignored the invitation and gave no reason for the no show. NextPress Release By The United Cabbies Group : Todays Taxi Drivers Protest at City Hall London. Tavistock Place Experiment : Make Sure Your Voice Is Heard.